You are buying Enfamil ProSobee Infant Soy Formula Powder 12.9oz, Model #3451192. ADW Diabetes offers a complete line of Enfamil baby formula products both in liquid and powder form. We offer these items in both single and discounted bulk quantities for your convenience.Shop with ADW Diabetes as we provide excellent customer service, low prices, and fast shipping! 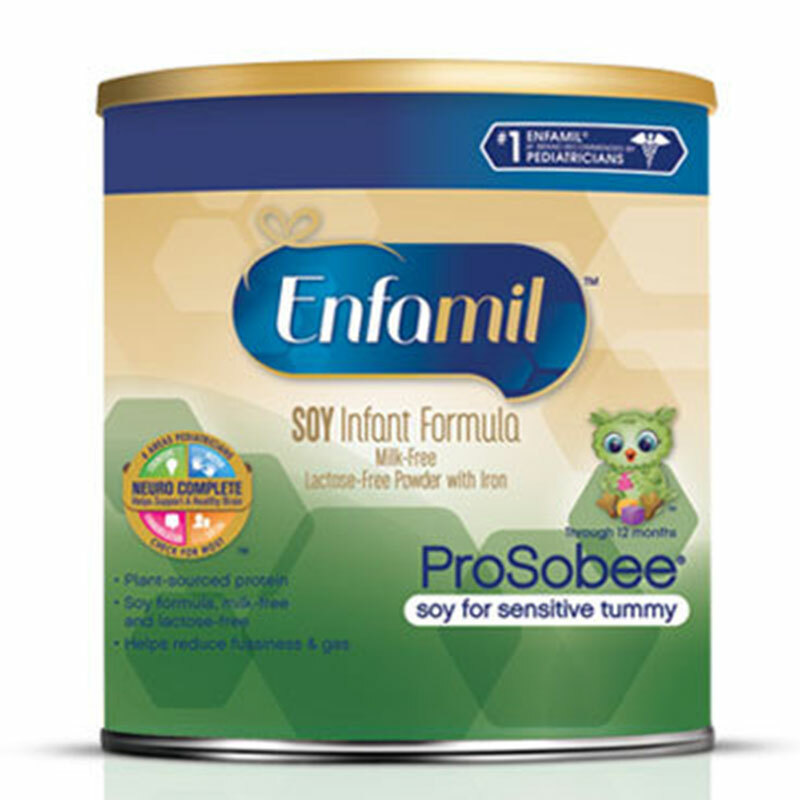 The Enfamil ProSobee Infant Soy Formula Powder 12.9oz is a soy-based formula designed to reduce fussiness and gas sometimes caused by milk-based formulas, while still providing the complete nutrition your baby needs to reach key milestones. Clinically proven to help premature babies achieve catch-up growth similar to that of full term, breastfed infants.